DNA testing has become one of the most exciting innovations to learn more about us and about our pets. DNA testing in dogs allows us to learn of their breed lineage and any inherent health condition and behavioral traits that might be of some concern to us in the future. It is thus, important to look for a canine DNA test kit that will give us the kind of information that we seek in a fast, efficient, reliable, valid, and highly accurate manner. We’ve committed a team to search for the best dog genetic testing kits available in the market today to give you an idea of how to proceed with such an assessment. Here are the best DNA dog test kits we’ve evaluated. 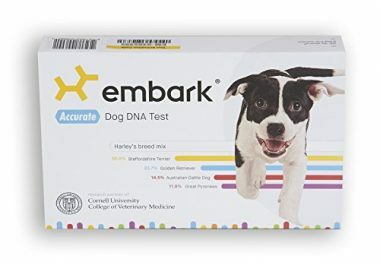 Embark’s dog genetic testing kit prides itself of highly accurate results that have been, thus far confirmed by those who have tried the product. One of the strengths of the Embark Dog DNA Test is its database of more than 200,000 genetic markers which essentially covers most of the essential information that a pet owner wants to know about his beloved pooch. This is especially true for individuals who may have doubts about the breed lineage of their pets. Some owners who have bought supposedly pure breed dogs are often shocked to find out that what they have is actually a mixed breed. Regardless, this enables owners to tailor-fit their pet care based on the dominant traits of their dogs. Knowing their recessive traits will also help allay future anxieties about a possible ‘anomaly’ observed in their pets. More importantly, however is the information generated by Embark’s testing for more than 160 genetic conditions. The company website says the test is highly accurate for detecting degenerative myelopathy, exercise-induced collapse, PRA blindness, dilated cardiomyopathy, and even multi-drug resistance gene sensitivity. While it is quite difficult to evaluate the veracity of these claims, the company’s partnership with the Cornell College of Veterinary Medicine should be a welcome relief. And that is not all. If these test results are accepted and deemed valid by the Orthopedic Foundation for Animals, who are we to argue? Moreover, various dog DNA test reviews confirm its accuracy and effectiveness. The only downside to the Embark system is that it takes an unusually long time to get the results. This should already be expected as they have a lot of genetic markers and genetic diseases to cover in addition to the breed identification testing. The long wait should really pay for itself once you get the full results and no other test can give you that. 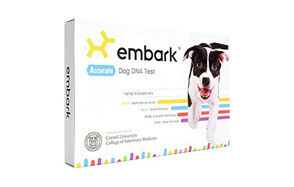 So far, Embark’s genetic testing kit is exceptional since it provides a 3-pronged approach to caring for your pet: accurate breed identification, extensive genetic marker determination, and excellent genetic disease evaluation, making it simply one of the best dog DNA test kit in the market. If you can forgive the slightly higher price compared to the rest of the kits we have in this list, the Embark kit is definitely a great tool if you want to understand the very basics of your pet. At any rate, this will give you an idea of how to better care for it while also preparing for any eventual healthcare costs related to the management of its genetic disease should they arise. It takes time before you get the results, but, with so many genetic information being unearthed from your dog, then it’s to be expected. For under $100, you can now get a variety of useful information about the genetic makeup of your pet. The Mars Veterinary Wisdom Panel 2.5 Breed Identification DNA Test Kit is an accurate, albeit limited DNA profiling assessment tool that enjoys the trust of many pet owners who would like to know the ancestry of their pet dogs. The results are delivered within 2 to 3 weeks and come with a certificate to authenticate the breed lineage of your pet. The only problem is that, unlike the Embark, the Wisdom Panel 2.5 only covers a few genetic markers which can be quite problematic if your dog happens to have a mixed lineage with unknown disease entities. Nevertheless, it does provide excellent sensitivity for identifying multi-drug resistance genes in canines which can help identify more effective treatments should the pet have an infection or any other health condition that requires medication. It’s true that the a newer version of Wisdom Panel is already available in the market, many pet owners still trust the 2.5 version, although it is priced higher than the newer variant. 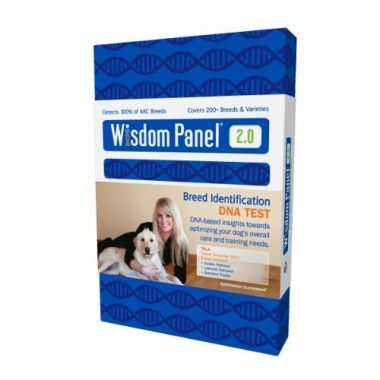 The good news is that, with its well-proven track record of providing owners with the peace of mind they need regarding the genetic makeup of their dogs, the Wisdom Panel 2.5 remains a formidable option when it comes to obtaining insight on your dog. The Wisdom Panel 2.5 has been in the market for a long time and is thus, trusted to deliver exceptionally accurate results. While its genetic coverage is quite limited especially when compared to Embark, it makes up for this by its more competitive pricing and amazing weight range prediction for tailoring pets’ nutritional and exercise requirements. Knowing that you have a mixed breed dog doesn’t really put you at ease as to how best to care for it. 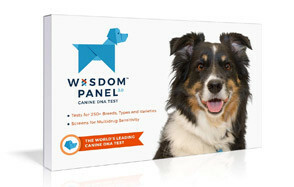 That’s what the Wisdom Panel 2.0 Mixed Breed DNA Test Kit aims to help you with. It is essentially like the Wisdom Panel 2.5 dog breed identifier kit, but is slightly more limited in its scope. Nevertheless, it is exceptionally sensitive for identifying a variety of breeds that may be present in a single dog. It’s a lot more inexpensive, too than the 2.5 version of Wisdom Panel. The point is that if you are already aware that you have a mixed breed dog, getting information about its ancestry should help you customize your behavioral, obedience training, nutritional, exercise, and health care programs for it. At any rate, you may have a mixed breed but the knowledge you get from the DNA kit should make you an exceptionally responsible pet owner, nevertheless. The Wisdom Panel 2.0 is especially designed for mixed breed dog owners requiring some form of assurance that what they got is not necessarily prone to a variety of diseases. It’s a lot cheaper, too. It’s more powerful, more accurate, and, definitely, more inclusive than its predecessors. This is what the third iteration of the Wisdom Panel is all about. The Mars Veterinary Wisdom Panel 3.0 Breed Identification DNA Test Kit can be viewed as a much better option for dog lovers who would like real peace of mind regarding the genetic composition of their beloved furry friends. It’s fiercely competing for the best dog DNA test kit plum by offering an exceptional breed identification technology that is able to identify more than 250 dog breeds, varieties, and types. Unfortunately, there clearly is no way of ascertaining the veracity of the results in cases of multi-breeds – meaning, even the ancestors of a mixed breed canine are mixed breeds themselves. Regardless, the Wisdom Panel 3.0 boasts of an amazing number of genetic markers in its database. Unfortunately, Wisdom Panel 3.0’s 1,800 genetic markers pale in comparison to Embark’s 200,000+ predetermined genetic markers. Nevertheless, this should help you gain a better understanding of the actual nucleic acid composition of your pet, enabling you to design a program that is best suited to the dominant traits of your dog. Moreover, the 3.0 is highly sensitive in the determination of the genetic marker for multi-drug resistance, saving you and your pet the hassle of having to deal with medication adverse reactions should your pet require treatment in the future. And like all Wisdom Panel products, you get the results delivered to you within 2 to 3 weeks. Ultimately, the Wisdom Panel 3.0 is a superb canine DNA test kit that provides better coverage of genetic markers and more accurate breed identification than its predecessors. It also provides adult weight range prediction, allowing owners to make more sensible food choices for their pets, like grain free dog food. 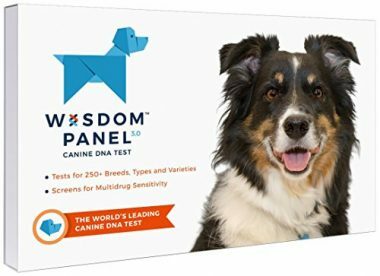 Overall, the Wisdom Panel 3.0 is an amazing choice because it provides exceptionally accurate DNA testing of your dog at a price that is significantly cheaper than its previous versions. It’s truly the best deal that you can ever strike. If you’re looking for a really cheap dog genetic testing kit that gives you the results in a much faster time than Embark but definitely longer than Mars Veterinary, then DNAffirm is a wise choice. Unfortunately, the results of the genetic testing may not really be that accurate compared to the other two products. 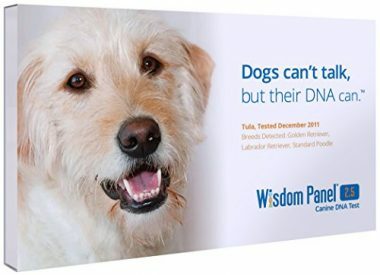 Based on dog DNA test reviews, the DNAffirm seems to base its supposed ‘results’ on the picture of your dog that you send together with the sample. The only thing that the DNAffirm seemed to agree on with the other two kits is that it is spot-on when identifying the primary breed ancestry. Sadly, succeeding levels of breed ancestry largely differ from the other two, which, to every reviewer’s surprise, remained essentially the same. This is not to say that DNAffirm doesn’t have any credible use. If you are only after the actual lineage of your pet and don’t really want to spend that much on such tests, this kit should come in quite handy. It provides you with a certificate of your pet’s breed ancestry which you can frame and mount as a wall décor. However, if you are after very detailed information about your pet like its overall health and genetic markers, you’ll definitely do better with the Wisdom Panel 3.0. Just add a couple dollars more and you’ve got more elaborate and highly accurate genetic information about your pet. But, if you really want the best dog DNA test kit, albeit it takes longer to process the results and costs you more than 3 times the price of DNAffirm, Embark is your kit. The DNAffirm provides superficial contentment to dog owners who simply would like to know the specific breeds mixed into their dog without really having to go into full detail about possible genetic health implications and genetic markers. However, while it is certainly the cheapest in this batch of canine DNA test kits, its price is rather high relative to what it can provide. There are many reasons why people would like to have their respective pets DNA tested. Like humans, there are a lot of information that can be obtained just by looking at the unique arrangement and sequencing of nucleic acids in the DNA of any organism. Having the DNA of our dogs tested actually gives us the power to better care for them. This is essentially the gist of such tests. Here are some of the more popular benefits of DNA testing for dogs. Facilitates understanding of the various health risks that your pet may genetically have. One of the most important reasons why dog owners would love to have their pets DNA tested is for them to get an idea of the various diseases that their beloved pets may be genetically predisposed to. While most genetic test kits today only look at a pet’s breed makeup to make careful calculations as to the risk of developing a particular disease or health condition in the future, these are not really definitive. These are often interpreted from analyses made comparing and cross-referencing a dog’s breed makeup with existing and known healthcare conditions for that breed. Using inferential statistics, they can deduce the percentage of chance that a particular health condition might present itself in the future. Sadly, these are just very educated guesses or inferences. More advanced kits, on the other hand, employ a variety of tests that try to check for specific genetic mutations. For example, it is now known that progressive retinal atrophy is actually a very common genetic anomaly that affects more than a hundred dog breeds. However, it has also been shown that some breeds are more susceptible to such a genetic mutation. Another example is the defective multi-drug resistance gene that has been ascertained to be common in Collies and Shepherds. Knowing all these simply means you’re better prepared of any eventuality. Helps in customizing a more comprehensive health program for your pet. By providing you with a comprehensive report on what genetic mutations may be present in your pet, you can then make the necessary preparations and arrangements with your veterinarian regarding its care. More importantly, this gives you more than enough reason to customize your program for your pet. You can use simple parameters such as adult canine weight prediction to help you design a more sensible diet for your pet so that it will not turn obese and suffer a variety of metabolic disorders like diabetes which is often associated with obesity. More importantly, you will be able to provide a more nutritious, well-balanced meal program for your pet and one that is truly appropriate for its genetic makeup. Since you now understand what diseases or health conditions may be predisposed to, you can take the necessary steps to prevent the occurrence of such conditions. For instance, if you know that your dog is genetically predisposed to developing canine hip dysplasia or even arthritis, then you can try to circumvent this predisposition by giving your pet appropriate dog joint supplements. These may or may not work in preventing the full course of such abnormalities; however, studies show that supplementation can help lessen or minimize the impact of such conditions on the overall quality of life of your dog. At any rate, the chondroitin, glucosamine, hyaluronic acid, and MSM that you’re giving your pet should strengthen the joints of your pet, minimizing the effects of hip dysplasia and arthritis or any other similar conditions. You can use the same genetic information to devise of a comprehensive plan for your dog’s oral or dental health as well as immune system integrity and coat skin health. The point is that, armed with this unique understanding of your dog’s fundamental composition, you can devise of more ingenious and more responsible ways to care for them. Offers peace of mind knowing the different breeds present in your pet. Not only is having a canine DNA test beneficial for your dog, it’s also beneficial for you. Knowing what to expect from your dog eases the burden of having to think what could be wrong with your mutt if it indeed falls sick one day. At least, now you can prepare for it and this gives you peace of mind. Also, by knowing what breeds are present in your pet, you can now explain their behavior which might be different from other dogs of the ‘same breed’. You will no longer have to ask your neighbor why Fido behaves differently from Brutus even though they look essentially the same. Aids in planning for more effective behavior training. As already presented above, understanding the genetic makeup of your dog means you’re also able to explain its otherwise peculiar behavior. This also gives you the opportunity to design specific behavior training and even obedience training programs that are more suited to the breeds that are found in its genes. If your neighbor’s dog took only a few sessions of training before it could already perform a trick with utmost efficiency, don’t expect your dog to be accomplishing the same feat within the same period of time. There are many other benefits of having your dog DNA tested. In a way, you are given all the information you need to better care for them. 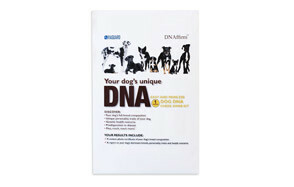 There are plenty of canine DNA test kits in the market today. Some claim they’re simply the best while others are more content on providing you with alternative choices. Either way, it is imperative that you try to consider the following things to look for in a dog DNA testing kit before you make your purchase. When someone talks about accuracy, it generally talks about how close a given value is to the ‘real’ value. It usually pertains to the measuring power of the test. For example, if a test is primarily intended to measure a very specific genetic mutation in dogs, then the results should reflect this particular measure. Unfortunately, the only way you could ascertain the accuracy of dog DNA test kits is through published clinical investigations pitting the identified test kit against controls. It is only through very precise measurements that one can ascertain the accuracy of a particular test. 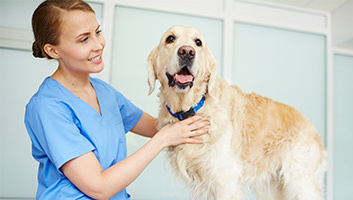 As such, in choosing a kit for your dog’s DNA, it is often wise to look for substantiating studies that point to the accuracy of the tests being conducted by the provider. Validity basically talks about the integrity of the testing procedure itself or whether the results really do reflect the measure of the parameter being tested. You may get the result you want or expect, but is the process of arriving at this result authoritative enough? The point is, if you get the result, what are the chances that you will be questioning these results? If you believe these results to be the outcome of a really sound process, then it is valid. However, if you are doubtful of the results, then something might really be off. Sadly, this is quite difficult to measure and establish. As such, many would recommend looking at the credibility and trustworthiness of the company that makes the test kit to get an idea whether the results are valid or not. A credible company will always make sure that all of its processes are valid. These tests don’t come cheap. As such, since you’re already paying, you might as well demand for the most comprehensive report about your dog’s genetic makeup. Some kits only cover breed identification while others go as far as providing you with a complete health risk profile including a determination of as many genetic markers as possible. One thing you need to understand is that, the more information you get the greater is your understanding of your pet. Some providers can give you the results within 2 to 3 weeks while others may take even longer than that. While you may be anxious about the possible results, it is important to understand that it takes time to conduct hundreds to thousands of tests. If a company promises you a hundred tests and delivers it in 2 weeks’ time, is this a lot better than a company that gives you 1,000 tests and delivers it in the same amount of time? Again, it all boils down to the kind of information that you want to obtain from these tests. How Accurate is a Dog DNA Test? One of the most important questions that people often ask about such tests is related to its accuracy. As already mentioned, there really is no way to ascertain how accurate these tests are unless you can gain access to the proprietary technology that many of these manufacturers have. The good thing is that, with a basic understanding of genetics, we can somehow make educated estimates as to the accuracy of these tests. Since an offspring is essentially the product of 2 reproductive cells, 50 percent of its genetic makeup is provided by dad and the other 50 percent comes from mom. 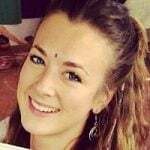 This is your primary level of ancestry. It may look simple enough, but you also have to understand that both mom and dad essentially have dominant and recessive traits which can complicate the whole genetic makeup-thing. This is made even more complicated as you go up the family tree. Father will have 50-50 from his dad and mom and the same is also true with mother. So, the traits of one generation are essentially passed down to the next. As a result, the deeper you go into the family tree the more complicated is the testing done. This requires highly advanced and super-sensitive tests to improve its accuracy. 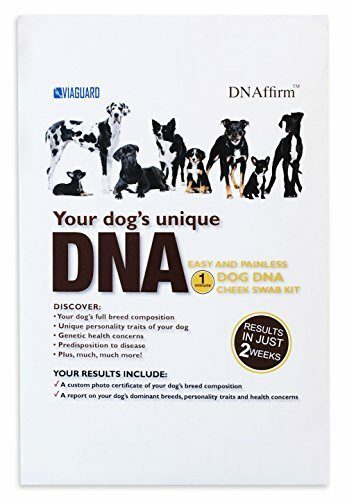 How Much is a DNA Dog Test Kit? Gone are the days when getting a DNA test for your dog was prohibitively expensive. Today, you can easily get one from as low as $60 to as high as $200. Having your dog tested for its DNA gives you a lot of information that you can use to customize your plan of care for your pet. It gives you peace of mind knowing that you’re better prepared to care for your pet than you ever were. With these 5 best DNA dog tests, you now have the power to fully understand what your dog is actually telling you. Taking a sample of your dog’s tissues for genetic determination is relatively easy. While some dog DNA test kits will have a preferred way of obtaining DNA samples for testing, the process of swabbing tissues from your pooch’s mouth is generally uniform. Here’s how to swab your dog. First make sure to inspect your dog’s oral cavity. Check if there is food debris or particles or dirt present in between your pet’s gums and cheek. If your pooch just had its meal, you will need to wait at least 2 hours before swabbing. Get your dog DNA test kit and carefully open the packaging. Make sure you have read the instructions carefully so you’ll have an idea of how to proceed. Don’t ever touch the bristles as this may contaminate the sample later on. Roll the swab bristles firmly against the inner surface of your pet’s cheek. Depending on the test kit, you can do this for about 15 to 30 seconds just to make sure you get enough cells to be tested. Allow the DNA sample to dry naturally for about 5 minutes. Again, avoid touching the bristles. Once 5 minutes are up you can carefully put the DNA swab back right into its storage sleeve.